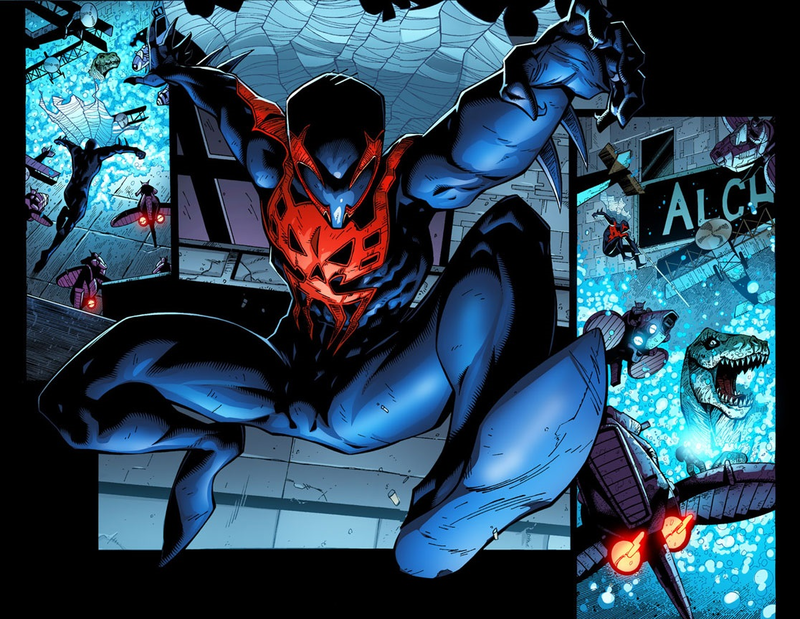 Remember how, in the run-up to Amazing Spider-Man #700, series writer Dan Slott and incoming Superior Spider-Man artist Ryan Stegman fooled a number of fans and media via Twitter into thinking that the replacement Spidey would be Miguel O'Hara, the start of Spider-Man 2099? Well, shortly after that, the overwhelmingly positive response on the part of fans who wanted to see more from the character apparently convinced somebody that it needed to happen, as Slott told fans in January that the character would, indeed, return in the pages of Superior Spider-Man. 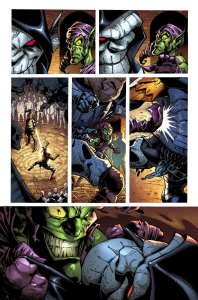 And with Stegman's turn in the rotation back up (there are other artists who draw Superior in between his arcs), they're going to fulfill that promise next month as the character shows up in the Marvel Universe--and here's your first look! 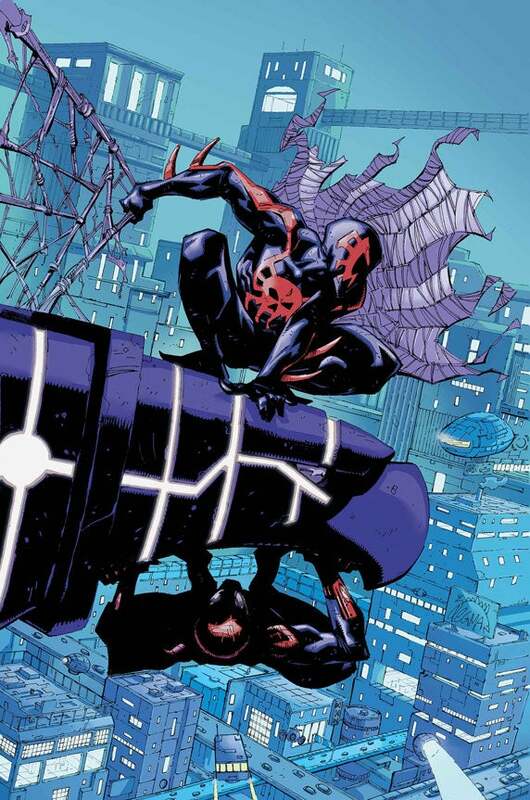 Marvel pleased to present your first look at Superior Spider-Man #17, from critically acclaimed creative team of Dan Slott and Ryan Stegman! Because YOU demanded it, Spider-Man 2099 is back! From the splintered fringes of time, how has Miguel O’Hara arrived on a suicide mission that could forever change the Marvel Universe? 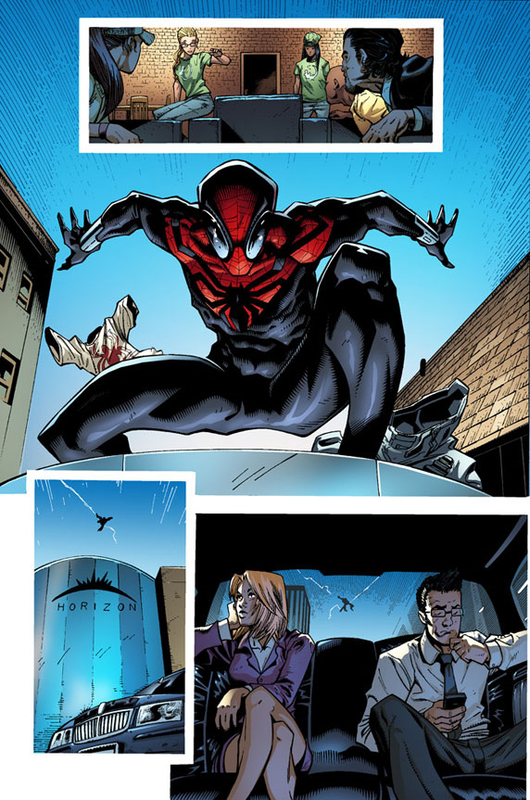 The Superior Spider-Man wants answers—and he’s not going to ask for them nicely. 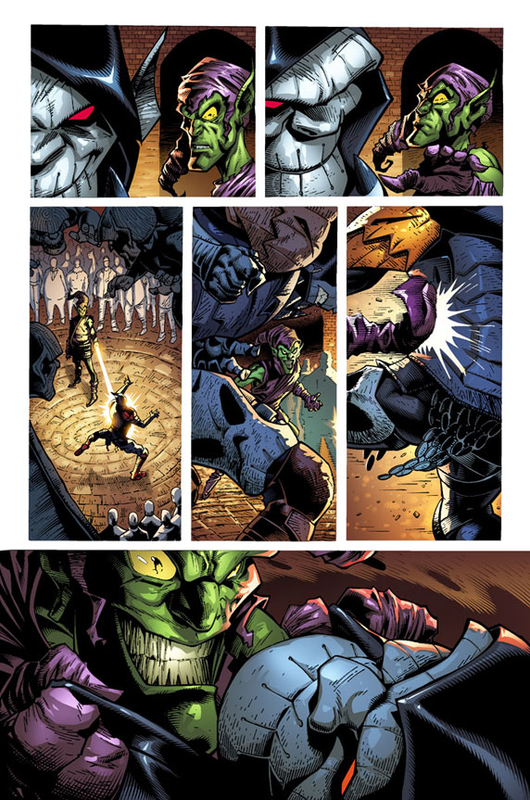 As the web-slingers come to Earth-shattering blows, the battle for the century starts now! But when the dust settles, will there still be a future worth fighting for? 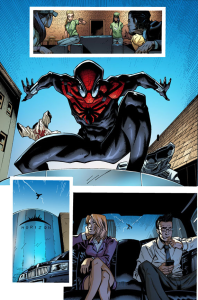 This September, history is rewritten in Superior Spider-Man #17!